There are some things you should always have access to at home and away from home. Crystallized ginger slices are one of those things. Their sweet spiciness makes them a tasty treat, but they are far more than that. These chewy gems can help alleviate travel related sickness, aid with digestive problems and with symptoms related to the common cold. I eat these every morning to help protect against colds and sniffles. Helps when not feeling well with the flu too. great as a snack. Delicious crystallized ginger! This is the best price I have seen and the quality is excellent. Sweet with a little snap. Ginger is not just a snack- it helps to settle the stomach also. A 5-star product for sure! I have purchased crystallized ginger from many different places as well as made it myself. This is as good as it gets and so convenient! I like the zip lock bags it comes in also to keep it fresh. Great flavor and best price I’ve seen. I have purchased crystallized ginger from many places and this is as good as it gets. I like the zip lock bags it comes in also to keep it fresh. Great flavor and best price I’ve seen. These are delicious! I am very sensitive to motion sickness and these help to take the edge off. I also add a chuck to herbal tea when I’m fending off a cold or sinus infection. They’re tasty, healthy & affordable. These taste so great!! You can’t pig out on them all at once, but they hit the spot as a snack every time. These are spicy, but nice. I like the pain benefits and the healthy snacking. I mix these in my own dried fruit mix. I actually prefer the crystallized ginger instead of candy. I can only eat a few pieces at a time because it has a serious spicy kick. Will definitely purchase again! I have purchased the crystallized ginger. It is a great product. It helps with my migraine headaches and motion sickness. Too much sugar and not enough ginger taste. 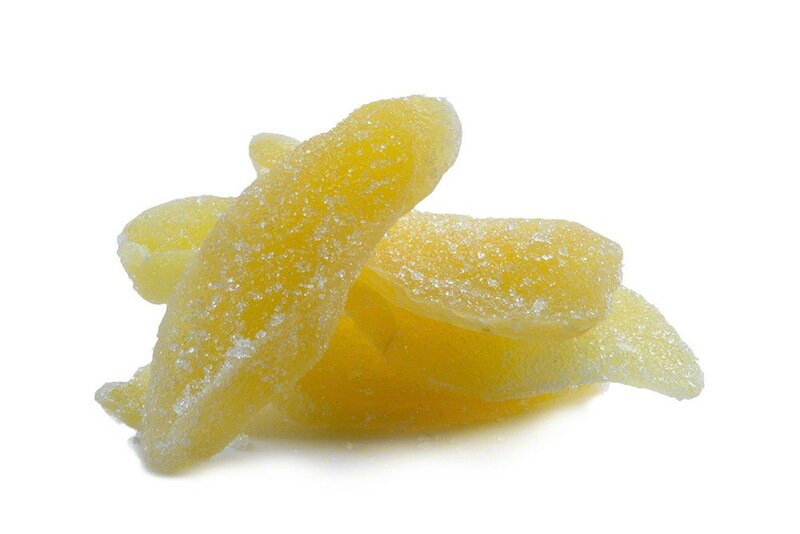 I am more familiar with the asian candied ginger that has more intense flavor. This product has barely any ginger taste. these are a little too sweet for my taste, will try to use it for baking instead of snacking. Great taste and texture, too many tiny pieces. Great ginger flavor and fantastic to use in carrot cake recipes for an additional amount of texture and spice! Little spicey, good favor. Will be ordering more. Just want to tell everyone how delicious the crystallized ginger is. Plus if kept in a dry, cool environment it will stay fresh for one year or more. I believe years is more accurate but my stash is always eaten I short order. As a child I had a friend who was in the Navy WW2. When he returned from duty in Japan, he had a very large “ginger jar” chock full of crystallized ginger and from 1959 to 1962, I had alittle ginger most days. I would guess the ginger to be around 15 years old at that point. Arrived quickly and are delicious. I had a feeling the product was going to be ok, so I ordered 5 pounds. That was in October. Three weeks ago I ordered 10 pounds, as several family members wanted a bag of their own. 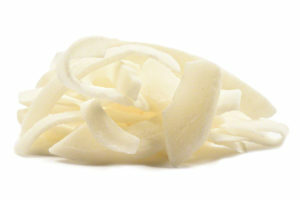 Needless to say we love the Crystallized Ginger from Nutstop! I really enjoyed the Ginger Crystals in my Tea. I didn’t need sugar. Very good to eat as candy. Great price too!! Great stuff. Ginger crystals are the cheapest I have come across. Very expensive at the local farmer’s market. This is the best Crystallized Ginger I have ever had!! I have had a lot too. Very delicious! I was inspired to send for this ginger because someone gave me a little bag of ginger candy and I wanted more. I only hoped Nutstop Ginger would be as good as the little bag. I was surprised to find out it is better in several ways. It is fresher, more flavorful and has a richer flavor. Excellent product! Fresh, soft, chewy, but SPICY!!!! Good for stomach issues. It is so good. I have been looking for this kind of dry ginger for a while. This is the best price and best quality. I bought 22 ponds for $2.49/pd. Dry ginger is great for stomach sick, or car sick. This is what I am looking for. I love it. Haaaaaaa, I just got my order. The ginger is very very yamiiiiiiiii.